See that photo of a brew I made just above? The one with the bubbles coming out through the grounds? Well, if your coffee doesn’t do that when you’re brewing coffee, chances are your coffee is not fresh. And stale coffee ruins your brew and sadly, seems to be the norm for most people. Coffee beans are at their best for about 15 days after they have been roasted, and still are pretty flavorful for 30 days post-roast. After this period, they lose a lot of flavor and are considered ‘stale’ although they will take years to become ‘bad’ and undrinkable. If you found your way onto my site I’m gonna assume you like gooood coffee. And if you’re just getting into brewing at home then you’re on the right article. Not brewing with fresh coffee that’s just been roasted is the number one way to level up your coffee drinking for 90% of people, I’d say. Those first 15 days after the roast are incredible – it’s where you get a smooth and delicious cup with the magic of the raspberry or vanilla or whatever flavors in your coffee! What Exactly Is Meant By Stale Coffee? Firstly it’s worth pointing out that coffee is not like milk or meat or fruit. It doesn’t go off, so to speak. It doesn’t have the nutritional profile for bacteria to be interested in infecting it and ruining it for human consumption. So… how long do coffee beans last? If we’re talking about them being drinkable, you could leave a bag of coffee out in the sun for a decade and when you came back you’d just wonder why you spent 10 years of your life on some pointless experiment. Coffee can lose its freshness however. Grind your coffee beans and they’ll lose freshness within hours and be in a sorry state by the end of the day. Whole coffee beans fare a little better – something something surface area – but still lose freshness over time and will become stale. You can think of it as a fresh loaf of bread. The pastrami and swiss sandwich you make on the day the bread was baked will taste divine. So what I’d like to explore in this article is when is the best time to brew and drink your coffee. More specifically, I’d like to establish exactly how long after the roast before your coffee beans lose flavor. How Many Days Specifically Until Coffee Is Stale? Let me point out that this means number of days after the coffee beans have been roasted. Good coffee roasters will have a roast date somewhere on the bag. No roast date? It’s almost certainly stale, mass-produced stuff. The best taste will come between 2-10 days after the beans have been roasted. Coffee will stay fresh and keep much of their flavor until about 30 days after the roast. Past that and the beans would be considered stale in most cases. 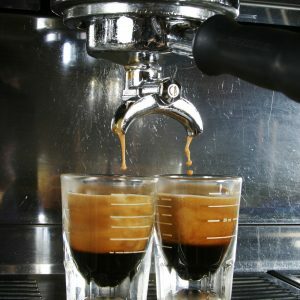 Espresso requires a little longer for degassing so the best taste should come around 5-14 days after the roast and you’ll be able to pull decent espresso 5-30 days after roasting. Try to make coffee too soon after the roast and you’ll regret it. Roasting coffee is essentially burning or cooking the coffee beans which traps lots of CO2 in the bean which will destroy the taste of your brew. You need a few days to let them degas before they are ready to drink. Of course, this is all assuming you keep your coffee beans in a cool, dark place and ideally in a sealed container – I’ve outlined the best options in my article here. A Mason jar also works reasonably well and the vacuum sealed bag that most coffee beans come in these days is passable. I’ve even read about how freezing coffee beans works without a hitch although that’s not something I’ve tried myself. Why Does Coffee Need To Be Fresh? The simple answer? Taste. Freshly roasted and ground coffee is the apoapsis of the delicious coffee orbit. Consider a freshly baked loaf of bread you pick from a baker’s. Now contrast that with a week old half-eaten store-bought loaf that’s been sitting in your kitchen for a week. You might think that the difference between fresh and stale coffee is not quite as dramatic as that. You’d be surprised. 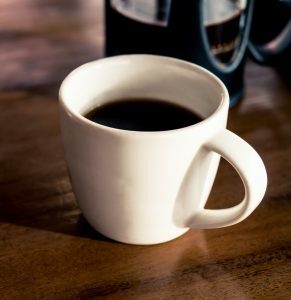 Fresh coffee tastes 10x better and brings out the kind of raspberry or hazelnut notes that the majority of coffee drinkers aren’t even aware of! Making the change to buying freshly roasted beans is probably the number one thing most people can do to improve their coffee making at home. If you’re already grinding your own coffee fresh – you are, aren’t you? – then don’t mess the whole thing up by buying stale old grocery store beans! If all this sounds new to you then you’re in for an absolute world of delicious coffee you never thought possible. Step one is grabbing a bag of freshly roasted coffee from somewhere nearby you (just ask when it was roasted), step two is getting yourself a quality coffee grinder. You can check out my review article on the best grinders around at the moment, if you’d like. How Long Until Coffee Is No Longer Drinkable? Coffee is remarkably resilient consumable. Leave meat out for a day, cheese out for three and bread out for over a week and you’ll witness the natural spoilage from a billion little lifeforms enjoying a banquet on your formerly pristine foodstuffs. Coffee, on the other hand, will last for years and still not spoil. So if you’ve got some coffee that’s been in your house for 6 months or a year or even longer then it’s drinkable, it won’t kill you, but it’s a long way from the optimum flavor. If you’re wondering how long you can keep coffee on that sort of a timeframe, you’ll want to take a trip down to the section of this article about putting coffee in a freezer. So why doesn’t coffee go bad in the same way as other consumables? Well the first reason is that coffee lacks calories, there is simply very little energy for bacteria and other nasties to feast on. The second reason is that caffeine is a natural toxin to many lifeforms and they steer well clear. I’ve always found it funny how one plant’s natural defense against insect predators became humanity’s favorite psychoactive drug! Can You Drink Coffee Too Soon After The Roast? The answer to this question is a big, fat yes. 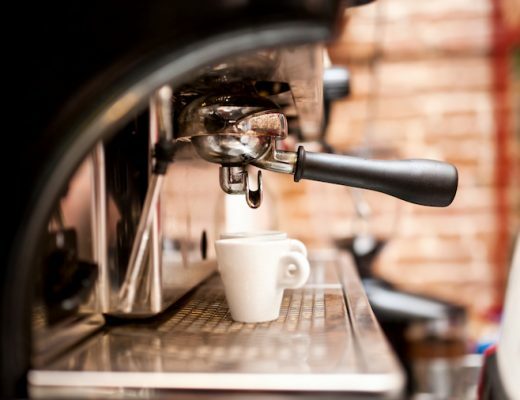 Your coffee will reach peak quality somewhere between 20 minutes to 3 days for brewed coffee and between 3-5 days for espresso. It’s usually not a good idea to brew coffee with beans that have just been roasted for reasons I’m about to go into. Your roaster should give them a period of resting to allow them to settle before selling them. 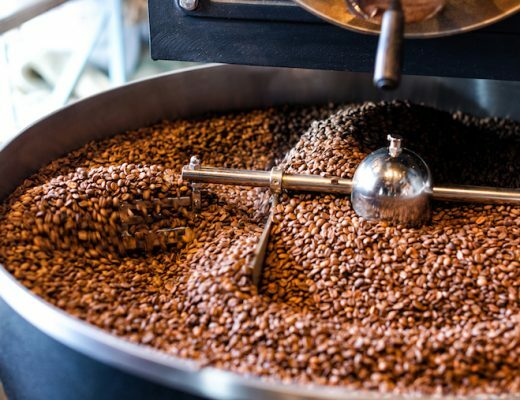 The roasting process heats the coffee beans up to a very high temperature. We’re talking around 400F for a heavy dark roast. You’re essentially cooking them. This creates a lot of latent carbon dioxide (CO2) in the beans that will wreck the taste of your brew. It slowly escapes after the roast is done – about 40% of the CO2 will have left just in the first day after the roast. 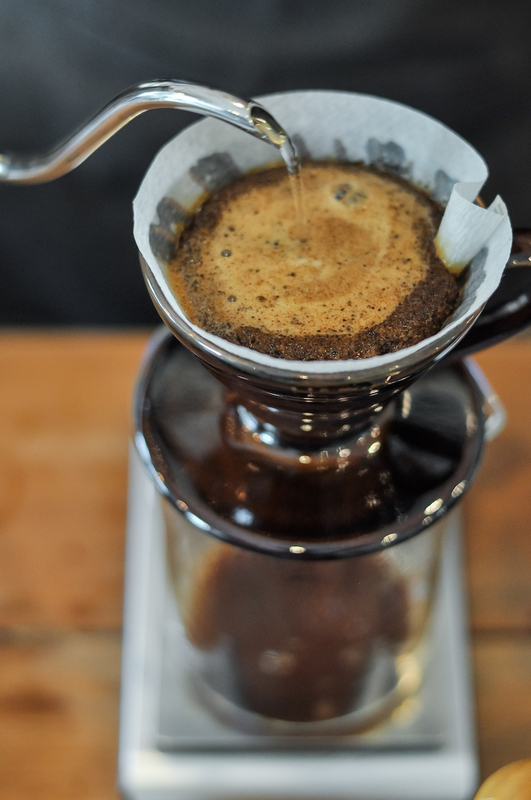 The bloom, where you put a small amount of hot water in your ground coffee and let it sit for a minute before brewing, is to help rid the coffee of the CO2 further. The earlier you brew your coffee after the roast the larger a bloom you are likely to see. Make a brew the day after the roast and you’ll see your Pour Over explode with fizzy bubbles of coffee! In fact, this is the best way of knowing for certain that your coffee is fresh. Now, if you brew your coffee too soon after the roast you are likely to get a massive bloom but also unpleasant flavors that go along with the CO2 and other products that come from the roasting process. It’s very unlikely that most roasters will sell you coffee beans that are not good yet or at least without warning you that they need a couple of days of ‘resting’ before they are good to drink. However, if you brew your own you will want to experiment with how much time you give your beans. 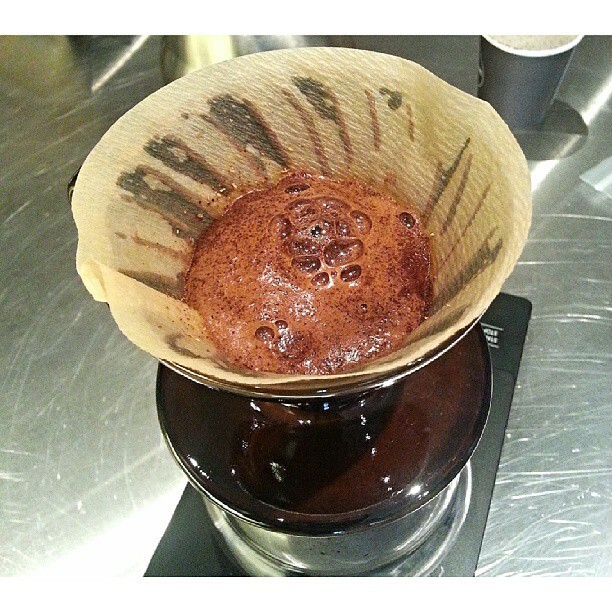 The bloom of a Pour Over. When Does It Start Getting Stale? Coffee beans do not stay in perfect condition forever. They lose freshness after a while due to oxidation, the same process that causes rust. Oxygen molecules in the air interact with the compounds in the coffee beans and cause it to slowly lose flavor. Most people will begin to notice a definite ‘stale’ feel around the 30-day mark and for those with a more experienced palate, even 10-15 days can be too long. This varies massively depending on the coffee bean and the roast it went through. What is amazing is the amount of coffee sold that is stale. Go to any grocery store and check the aisle where the coffee is, you’ll be hard pressed to find a single roast date. Mass-produced coffee simply doesn’t have the turn around time to be able to be roasted, processed, shipped and sold before it goes stale. In fact, even most large commercial coffee chains are selling stale coffee, too. This is one in the long list of reasons why you should be looking at a local, independent roaster to get your beans from. Why Are You Giving Rough Times? 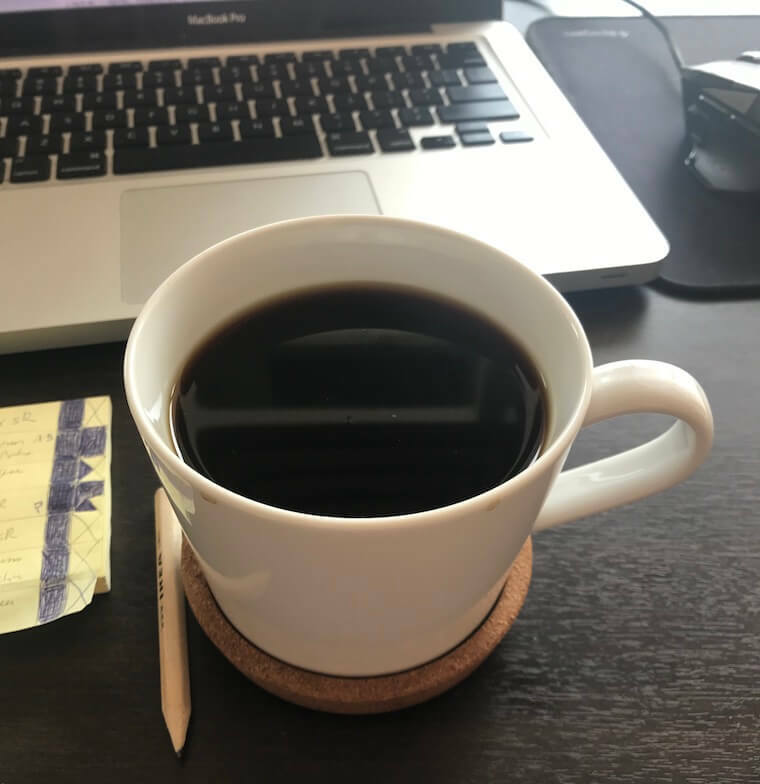 My rule of thumb is to drink brewed coffee 2-30 days post-roast and ideally before 10 days and to drink espresso 5-30 days post-roast and ideally before 15 days. I mention that it’s sometimes acceptable to drink a coffee mere minutes after the roasting process. So what the hell are you talking about, Pat? I can’t give more specific figures because it varies by coffee. Some coffees are ready within the hour and some will taste foul unless you give them at least 3 days. There’s no hard or set rule for this. Again, this is why it’s great to find some local roaster’s that you like. They will take the work out of it for you. You can even grab a brew and have a chat at a lot of places and if there’s one thing people who roast their coffee for a living love, it’s to talk about coffee. How Can I Keep Coffee Fresh For Longer? The question of delaying your coffee going stale is more one of not messing up. You can’t prolong the shelf life of your coffee beans, but you sure can ruin them pretty quickly. The first step is to grind your beans fresh. The oxidation process works on surface area. Crush up your beans and the air will make them stale many orders of magnitude faster. You should take care to not leave your ground coffee even 10-20 minutes until you brew for the same reason. Note: I do actually recommend buying pre-ground for beginners in some cases but that’s a whole other discussion. You also need to keep your coffee beans dry, cool and out of sunlight. Most roasters these days will provide a vacuum locked bag to keep in the freshness and a mason jar works equally well. You might wonder whether you should keep your coffee beans in the refrigerator? I’ve never known anyone with any expertise about coffee to recommend that. I think the general feeling is that it’s like putting bread in the fridge, sure it might help a bit, but is it really worth the risk of ruining it? 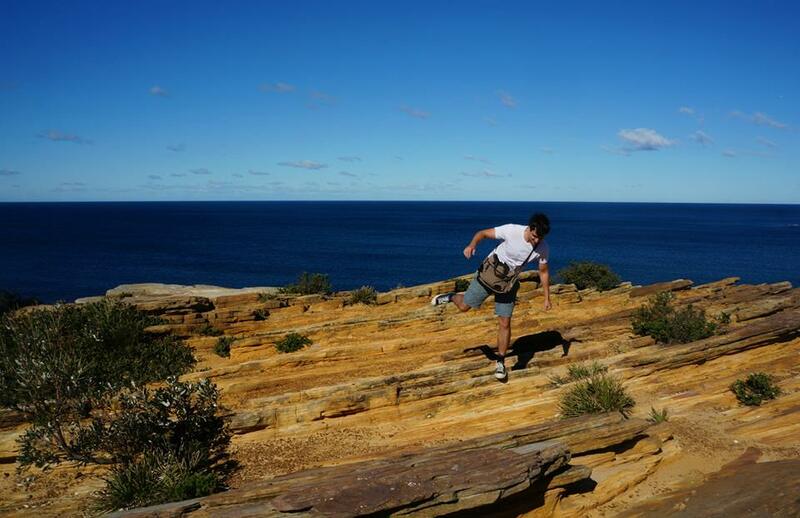 Now all that works for keeping your beans fresh in the short term, but what if you’re going traveling, an overseas secondment or joining the peace corps and you would like the 10kg of high-quality coffee beans you (inadvisably) bought to be good and fresh for you when you’re back? The idea is if you can remove as much oxygen as possible then they should keep pretty fresh. He recommends you use a plastic bag and to squeeze as much air out as possible. There are also many good purpose-designed options for airtight coffee storage containers that I wrote about here. Quick tip: He also strongly advises against defrosting and refreezing the coffee beans. Well firstly let me check you are doing everything you can to find a local independent coffee roaster. Most will offer delivery, too. If you can’t manage that then there are lots of excellent options online that will deliver in a couple of days. I strongly, strongly recommend you buy freshly roasted coffee beans. It’s a total game changer if you’re not doing it already. how the different regions and countries differ in terms of tastes and what the phrase ‘Single Origin’ means and why it makes a big difference to your coffee. Those three articles, all written by me and as comprehensive as I could make them, should be a good starting point. What you need to look for over all that is the roast date. Somewhere on the bag should have a date which tells you when the beans were roasted. A superstar roaster might even write next to it when the coffee will peak, too. The importance of this step cannot be overstated, if all you took away from this website was to find a local roaster nearby and spend the extra $2 for a bag with a roast date on it you’d instantly make MUCH better coffee. 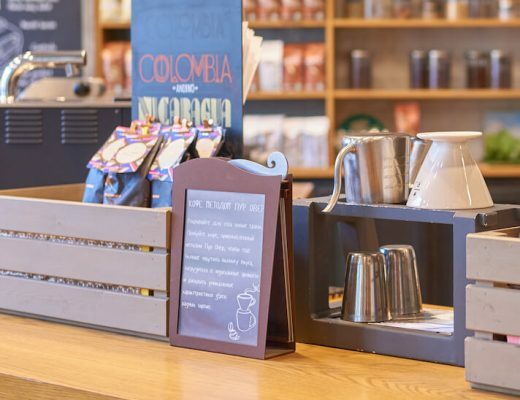 If the coffee is being sold by someone who knows what they are doing there isn’t a risk of you drinking it too quickly – it won’t be put on sale until it’s ready. Just aim to drink before the best before or within 15 days of the roast date. Does this mean that you need to drink coffee within a week or two of buying it to ensure you get the best brew possible? Yes. Yes, it does.